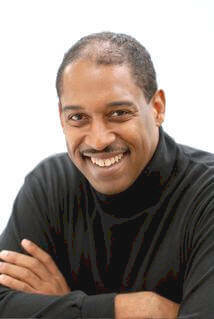 Greg Thomas is an award-winning jazz writer, editor, educator, and broadcast journalist. Greg has been published in American Legacy, the Village Voice, Salon.com, The Black World Today, Black America Web, the New York Dally News, London's Guardian Observer, Callaloo, and Savoy. Mr. Thomas was the founding Editor-in-Chief of Harlem World magazine. The NY Association of Black Journalists honored him in 1995 with a Newspaper Award in the Critique and Review category for a book review published in the City Sun newspaper entitled, 'Marsalis Trumpets Truth as He Sees It.' Mr. Thomas currently serves as a consultant and producer with the National Jazz Museum in Harlem, and hosts a monthly jazz radio show, 'Keep Swingin'!' on WBAI-FM in New York City. He composes jazz reviews and cover stories for All About Jazz-New York and wrote program notes for Jazz at Lincoln Center's 2007-2008 season. Mr. Thomas serves as host of the Internet's only interactive jazz news and entertainment TV show, Jazz it Up! Tell us how much you like Greg Thomas.